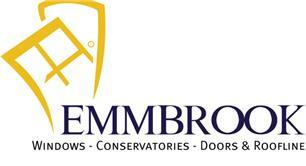 Emmbrook Windows Ltd - Fascia/Soffits/Guttering, Roofer, Windows/Doors/Conservatories based in Wokingham, Berkshire. I have been working in the building trade for over 30 years. I have built a good reputation through my loyal customers during this time and now have my own windows, doors, and conservatory company. I believe in giving my customers honest, affordable quality products and provide reliable, skilled workmanship. I would be happy to assist you with your requirements in all aspects of window replacements, conservatories, warm roofs, doors and roof line products. I also undertake small building projects such as porches, canopies, roof repairs and due to my roofing background, I can supply and install Velux windows. I look forward to assisting you with a free no obligation quotation.